The Technical Secretariat of the Organisation for the Prohibition of Chemical Weapons (OPCW) invites media representatives to accredit themselves for the first celebration and conference marking the International Day for the Foundation of the OPCW, on 2-4 May 2016 at OPCW Headquarters in The Hague, Netherlands. Chemical Safety and Security in a Technologically Evolving World is a timely and relevant theme around which the OPCW is convening the best minds across various disciplines. These leading experts will lay markers for the OPCW’s path forward as it prepares for anticipated and unknown challenges to its mission in the future. In addition to OPCW Director-General, Ambassador Ahmet Üzümcü, keynote speakers include: 2013 Chemistry Nobel Laureate Professor Martin Karplus; and Executive-Secretary of the Comprehensive Nuclear-Test-Treaty Organization, Dr Lassina Zerbo. Participants will interact with other officials, practitioners and educators from organisations such as the United Nations, European Space Agency, Organisation for Economic Co-operation and Development, International Council of Chemical Associations, and more. The OPCW Day programme features interactive panel discussions, visual exhibitions, a poster contest and a screening of the newest film in the OPCW’s FIRES documentary series, Combustion Man. The FIRES series captures diverse human experiences to raise public awareness about the need to remain ever-vigilant about the threat and legacy of chemical weapons (https://www.thefiresproject.com/). This OPCW Day will be the first of a series of events marking the entry into force of the Chemical Weapons Convention (1997), which established the OPCW to oversee the implementation of this ground-breaking disarmament treaty. To enter the OPCW premises during the conference, all media representatives must submit an accreditation request to media@opcw.org as soon as possible and no later than Thursday, 28 April at 16:00 CET, as space is limited. Accreditation requests should include the full name of the media outlet, journalist(s), cameramen and other technicians, passport or other official photo ID number, and valid press card number. If interested in interviewing OPCW officials, please contact the Public Affairs Branch, tel. 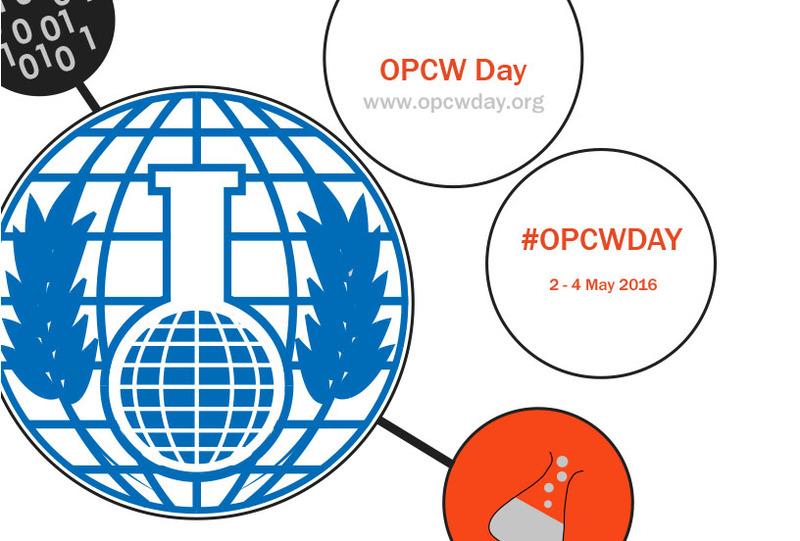 +31 (0)70 416 3242, or media@opcw.org with the nature of your request including topics of interest.